The April 4 post on the excellent blog Automobiliac was a link to the F1 documentary Anatomie d’un Depart (Anatomy of the Start) made by the Elf Oil Co. 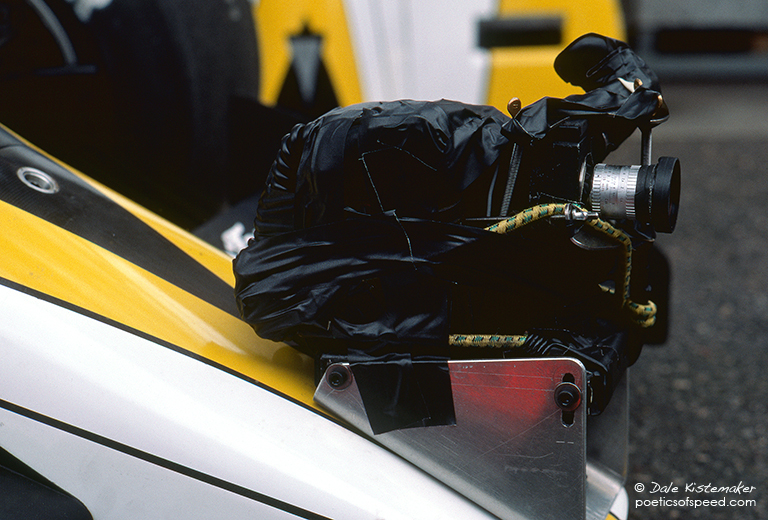 It takes you inside the preparations for a Formula One race in 1985, the same period covered my photographs on this blog. Its is almost magical for me, I feel transported back in time. 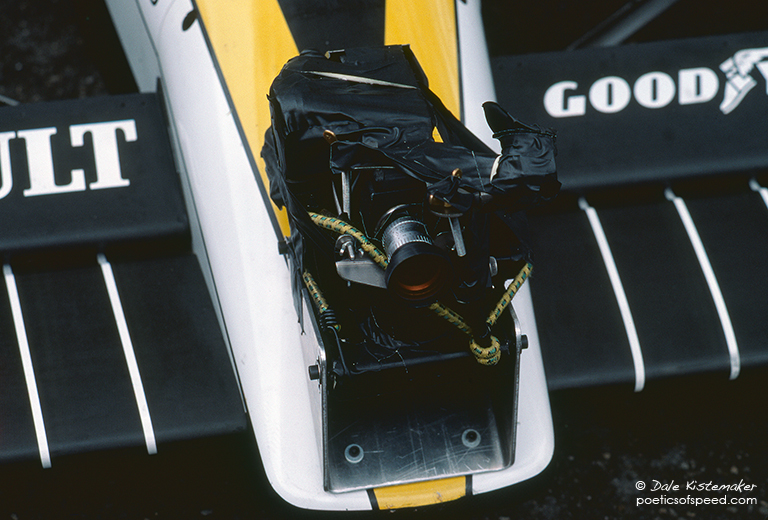 Elf also had permission to mount cinema cameras on Renault F1 cars. 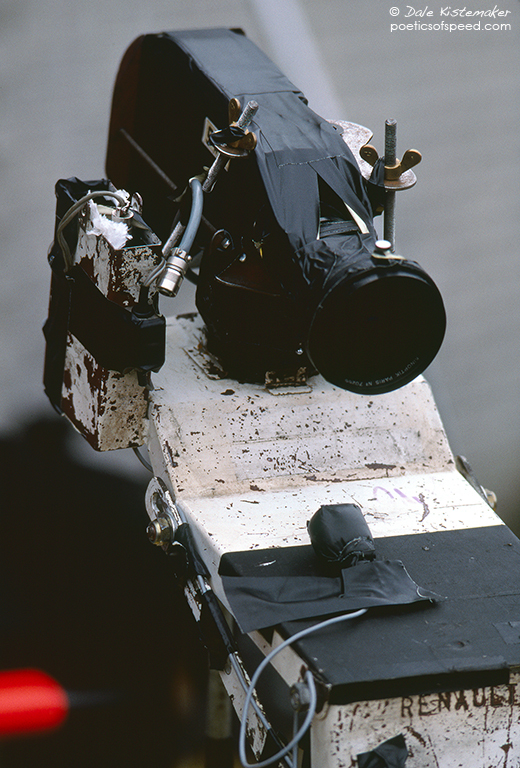 I took the following photographs documenting some details of the cameras installations. The current age of realtime on board video and the GoPro revolution give the handmade trial and error appearance of these mounts an almost pre-historic look. Well, it had to start somewhere. Where would we be without gaffers tape and bungee cords?